Dr.S.Somashekar, Professor, Department of Physics and Former Principal of Smt. A.S.M. 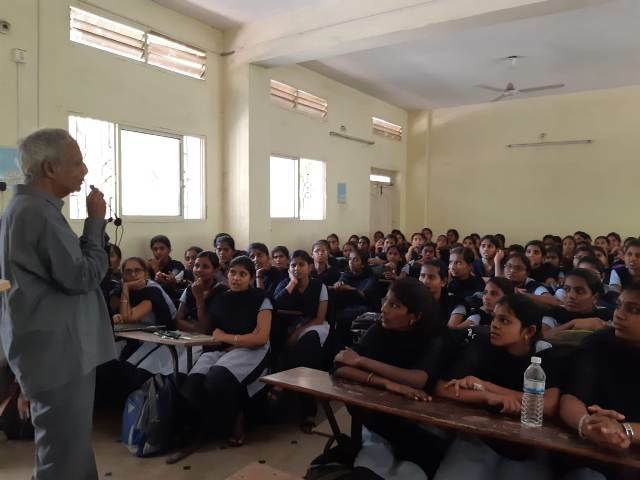 College for Women, Ballari, delivered a special lecture on the topic “WONDERS OF LIGHT” on 25.03.2019 for B.Sc.-IV & VI Semester Students.